FRIDAY 26TH NOVEMBER 2010, 7.30 P.M.
How does it feel to be a socialist writing for the right-wing Mail? What’s the status of columnists in a world of shrinking news? Can women get to the top in journalism and should they try? And in an age where the Left means surveillance and the Right means cuts, how are newspapers really dealing with the new politics of Coalition Britain? In telling her own improbable journey from the Marxism Today fringe to the Mail on Sunday mainstream, Suzanne will reflect on all these questions and more. And she will ask: with half a billion Facebook users and hundreds of millions of blogs in the world, what is the future for journalism now? Join us and meet Suzanne for the liveliest media debate in the West. 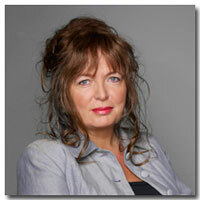 Chaired by Christina Zaba of the National Union of Journalists’ Equality and Ethics Councils and Bristol NUJ. The annual Bristol NUJ/Arnolfini Benn Lecture aims to bring together the Bristol public, the National Union of Journalists, the Bristol media community and a guest speaker of national distinction, in a chance to debate the most pressing journalistic and political issues of our times. Founded in 2005 by Tom Trevor, Director of Arnolfini, and Tony Gosling of the National Union of Journalists Bristol branch, past Benn Lecturers include Bristol politician, writer and NUJ honorary member Tony Benn; Journalist of the Year 2008 Andrew Gilligan; Independent columnist Yasmin Alibhai-Brown; and Bristol Festival of Ideas book prize winner and bestselling Guardian investigative journalist Nick Davies. The lectures are organised and chaired by the Bristol Branch of the National Union of Journalists, and hosted every autumn by the Arnolfini Gallery in its comfortable 205-seat lecture theatre. For over 20 years Moore has written for everything from Grazia to the London Review of Books. She has dealt with topics as diverse as the significance of underarm hair to an analysis of Blairism, and interviewed Jean Baudrillard, Clare Short, Roman Polanski and Camille Paglia. In 2009 she resigned as a contributing editor to the New Statesman, disgusted that former spin doctor Alastair Campbell had been allowed to guest edit an issue. She stood as an independent candidate for the constituency of Hackney North and Stoke Newington in the 2010 General Election due to her disillusionment with the main political parties, finishing sixth out of the ten candidates. Suzanne writes about politics, both personal and political, in all its many forms. Friday 26th November, 7.30 p.m.